Imagine you are comfortably snoozing in your bed, only to be rudely awoken by your noisy neighbors who are throwing a raging house party next door. This would upset you, right? 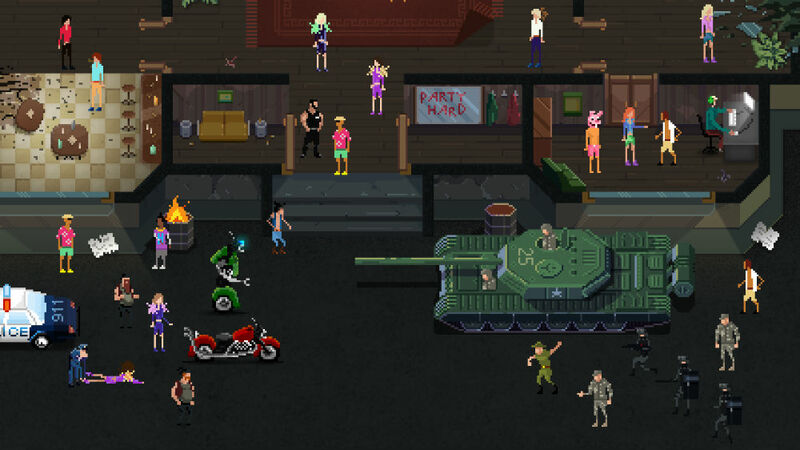 Typically, a call to the police for a noise complaint would be a decent route to take, but not for the main character in Party Hard. In this world, you take matters into your own hands, dispensing justice and death to anyone who dares wake you from slumber. Described to be a game of tactical mass murder, you will utilize various in-level traps and tools to kill as many party attendees as possible. However, your main objective is trying not to get caught. When someone is on to you, you must dance and blend in naturally, providing a bit more of a challenge. It’s all about killing, dancing, sneaking, killing, repeat. Priced at $13, this game is sure to be loads of fun for all of you psychopaths out there.